We cover the best smart cameras that work with Alexa. 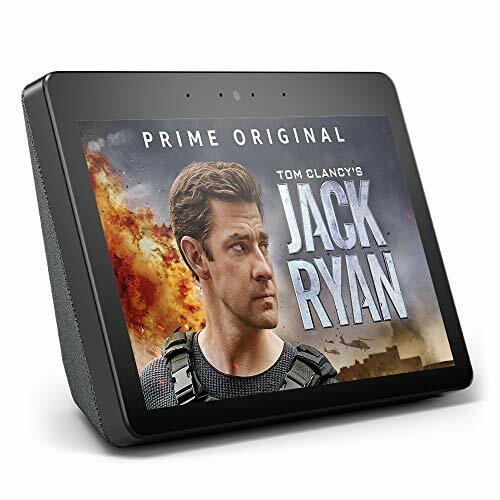 With a smart cameras and Alexa you can view the live streaming video feed from your compatible smart camera on your Echo Show, Echo Spot or Fire TV device. Combining your smart wifi camera with Echo Show, Echo Spot or Alexa devices with a screen will unlock additional functionality and voice control of your smart cameras. We teach you the best smart cameras that work with Alexa and how to connect your smart camera to Alexa for voice control and live stream viewing using your Echo Show or Echo Spot. What Are The Best Smart Cameras That Work With Alexa? We’ve divided the smart cameras that work with Alexa into two categories. Indoor smart cameras that work with Alexa and outdoor smart cameras that work with Alexa. Within the smart camera category of smart cameras that work with Alexa there are also smart cameras that work on batteries and other cameras that must be hardwired with power. Typically hardwired smart cameras will offer better reception, a higher quality user experience and you never need to worry about missing footage because of dead batteries. However it’s not always practical to hardwire or plug in a smart camera, and battery powered smart cameras are a good alternative if you can’t get electrical wiring to your camera for power but you still need to protect an area of your home or business. Below we have our list of the best smart cameras compatible Alexa and what you can do with them. Nest Cam Indoor Works With Alexa - The Nest Cam indoor is compatible with Amazon Alexa Echo Devices with a screen like the Echo Show and Echo Spot. The Nest cam Indoor has been around for a long time and allows you to stream live video on your phone, it will also record the video footage so you can view it later. With the Nest Cam Indoor and an Echo Show you can pull up the live video feed of your Nest Cam on your Echo Show screen like a remote viewing device. To pull up your video feed just say “Alexa, show me living room camera.” The nest cameras will always allow for streaming footage to be viewed freely but it costs $5 per month if you want to be able to record and store 24/7 footage for 5 days. The Nest Cam’s compatibility with Alexa, offers HD video, easy app & voice control and integration with the nest app. The Nest Cam will show up with your other nest products like your nest thermostat on your nest app. If you’ve already bought into the nest ecosystem the nest cam can be a convenient addition. The Nest Cam IQ offers all of the same app integration and Alexa compatibility as the Original Nest Cam but higher resolution and AI smart facial recognition features. The nest cameras will always allow for live streaming footage to be viewed freely but it costs $5 per month if you want to be able to record and store 24/7 footage for 5 days. Amazon Cloud Cam Works With Alexa - The Amazon Cloud Cam offers a good balance of picture quality and value. It is often priced lower than other competitive cameras. You can stream the Amazon Cloud Cam on your phone or view the live video stream through the webpage portal. The Amazon Cloud Cam has full 1080HD streaming video and includes free cloud storage of the last 24 hours of footage which is not offered by the nest cameras. The Amazon Cloud Cam has night vision, two way communication and works with the Echo Show & Echo Spot. The Amazon Cam will also alert you when motion is detected and save the clip for you for up to 24 Hours and allows for two way communication through the built in microphone and speaker. Blink Camera Indoor Security Camera Works With Alexa - The Blink Indoor Camera works on battery power so it can be placed anywhere in your home without the need for wiring. The Blink Batteries can work for up to 2 years before needing replacement. The Blink Indoor Cameras have a built in motion sensor you that starts recording video footage when tripped. You can stream the footage live to your phone or view the recorded clips on the phone app. The video storage of your Blink footage is completely free and will save up to 1440, five second video clip events for you. The Blink Cameras don’t have two way communication like the other cameras on this list but offer the flexibility of placement without wires. The Blink Cameras will allow you to stream 30 seconds of live footage on Amazon Echo Show or Echo Spot but you can also arm your Blink Camera System with your voice and Alexa. Nest Cam Outdoor Works With Alexa - The Nest Cam Outdoor is compatible with Amazon Alexa Echo Devices with a screen like the Echo Show & Echo Spot. The Nest Cam Outdoor is a more rugged version of the Nest Camera and designed to be placed outdoors. The Nest Cam Outdoor is designed to be plugged into an outdoor outlet and secured to the side of your house to be used as security camera. If you end up plugging in your Nest Outdoor Camera in outside you should make sure to use a water proof outlet cover as mentioned in another post. The Nest Cam Outdoor comes with 1080 HD resolution, night vision and two way communication with the built in microphone. The Nest Cam Outdoor will allow you to stream live video to your phone or record the footage for later viewing. With the Echo Show and the Nest Outdoor Camera you can pull up the live video footage on your the Echo Show’s 10” viewing screen. The Nest Cam Outdoor is a versatile camera and great for monitoring, garages, alleyways and or patios as long as you have a plug within 25FT to plug in the camera. Nest Cam IQ Outdoors Works With Alexa - Compatible with Amazon Alexa Echo Devices with a screen like the Echo Show & Echo Spot. The nest cam IQ is the top of the line outdoor nest camera. It offers the highest resolution in the lineup, and is made to weather the elements. The nest cam IQ outdoors features HD resolution with a 4K sensor and smart AI facial recognition technology. It has all of the same features as the Nest Cam IQ indoor camera but is completely waterproof. The Nest Cam IQ Outdoors is designed to give you a built in look. The wires can be run behind the camera and through your wall to an interior plug. Ring Outdoor Floodlight Cam Works With Alexa- Then Ring Outdoor Floodlight Cameras is one of my favorite smart cameras that works with Alexa. I like this camera because it is completely hardwired, no batteries to worry about, no wires to run through walls, you can replace your existing outdoor hardwired light with a Ring Floodlight and your up and running quickly. The Ring Floodlight Camera includes both a smart built in camera but it also includes a powerful motion sensor floodlight. What makes this different from other cameras is that with other cameras you don’t have a combined floodlight. With the integrated floodlight, and motion sensor it acts as a great deterrent for criminals because once they enter the motion zone the bright floodlight illuminates them, this is enough to scare away most people because the light from the dual high power LED floodlight is surprisingly bright. If the floodlight doesn’t deter someone, the floodlight also has two way communication built in so you can talk to whomever is outside your home and you can even set off the built in Alarm Siren on the camera. The floodlight also lets you control the lighting from your phone so if you want to just turn on the floodlight for a backyard barbecue you can do so through the app and keep the light on until your party is over. The Ring Floodlight is truly one of the most feature rich smart cameras that works with Alexa. Ring Outdoor Spotlight Cam Mount Works With Alexa (Hardwired) - The Wired Ring Outdoor Spotlight Cam is compatible with Alexa and offers all of the same features as the Ring Floodlight Camera. The only real difference between the two cameras is that the spotlight has two smaller built in LED spotlights integrated into the cameras body vs the larger dual LED lamps on the Ring Floodlight. The Ring Spotlight camera lights up a smaller area than the Ring floodlight but offers a smaller form factor than the floodlight. The entire line up of Arlo Cameras are compatible with Alexa. Arlo cameras are completely wireless and a great option if you don’t have any existing wiring for cameras and want to use a camera that uses batteries. Arlo cameras can be placed indoors or outdoors and have a small magnetic mount that allows you to inconspicuously place the cameras nearly anywhere. The Arlo Ultra cameras are Arlos’ latest 4K camera and can either operate on rechargeable batteries or with a hardwired plugin cord, offering maximum flexibility for placement. The Arlo cameras are reliable and offer easy placement with their magnetic camera mount. Blink Camera XT Outdoor Security Camera Works With Alexa - The Blink XT Outdoor Camera works on battery power so it can be placed anywhere outside without the need for wiring. The Blink Batteries can work for up to 2 years before needing replacement. The Blink XT Cameras have a built in motion sensor you that starts recording video footage when tripped. You can stream the footage live to your phone or view the recorded clips on the phone app. The video storage of your Blink footage is completely free and will save up to 1440, five second video clip events for you. The Blink XT Outdoor Cameras don’t have two way communication like the other cameras on this list but offer the flexibility of placement without wires. The Blink Cameras will allow you to stream 30 seconds of live footage on Amazon Echo Show or Echo Spot but you can also arm your Blink Camera System with your voice and Alexa. The Blink XT Outdoor Cameras are waterproof and more robust than their indoor counterparts. Ring Doorbell Pro Works With Alexa - The Ring Pro Doorbell is Ring’s top of the line smart doorbell that is compatible with Alexa. Just like the the smart cameras we mentioned we mentioned above you can stream the live video from your Ring Pro Doorbell to Alexa. But the Ring Doorbell Pro has an extra feature that most of the other smart doorbells don’t have. The Ring Doorbell Pro will work with Echo devices like the Echo Dot also to “chime” and ring just like a normal doorbell chime in your home. 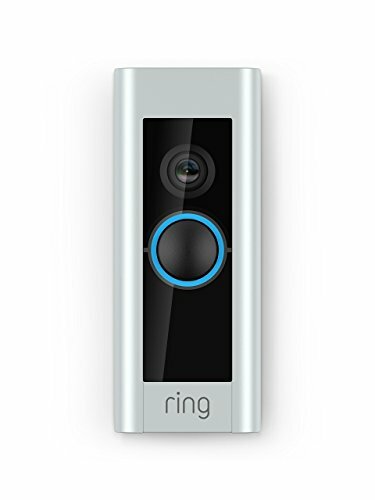 The Ring Doorbell is a great HD video doorbell with night vision, advanced motion detection and live streaming on your cellphone or through Amazon Alexa. If you want to learn more about the Ring Pro & Nest Hello doorbell you can read our smart doorbell guide to go through all of the features of each. The following instructions will work for most smart cameras that connect to Alexa. We provide a step by step walkthrough for the nest smart cameras and smart doorbells below but the instructions will work with many smart cameras. 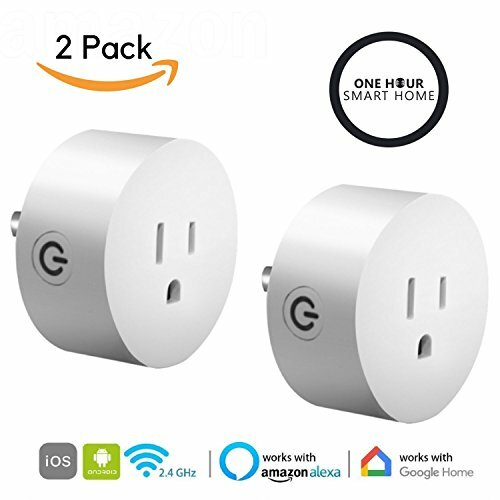 Also the we have included links to step by step instructions for connecting each type of smart home camera to Alexa. Install, setup and connect your Smart Camera through your phone. Enter your sign in information for the [Brand of Camera] App. “Alexa, show me [smart doorbell doorbell name]” - This will live stream the the nest camera feed to your Echo Show or Echo Spot. Best Smart Cameras That Work With Alexa: How to decide? If you are choosing a smart camera the options can be overwhelming, but if you know what you want in your smart camera that works with Alexa it’s easy to figure out what camera it right for you. Determining where your going to place the smart camera that works with Alexa should be your first order of business, from there you will need to determine if you will hardwire the smart camera, plug it in or if you’ll use a smart camera that operates on batteries. If you plan on plugging in your smart camera and want an outdoor camera the Nest IQ Outdoor Camera offers the highest resolution of the listed cameras, smart AI features and easy installation. The monthly recording fee for the nest IQ cameras is $5 per month. If you plan on using battery cameras there are a few good options to choose from, the best budget option is the Blink XT Battery Powered Outdoor Camera, and if your looking for a complete system the Arlo Ultra Cameras offer a compelling value. 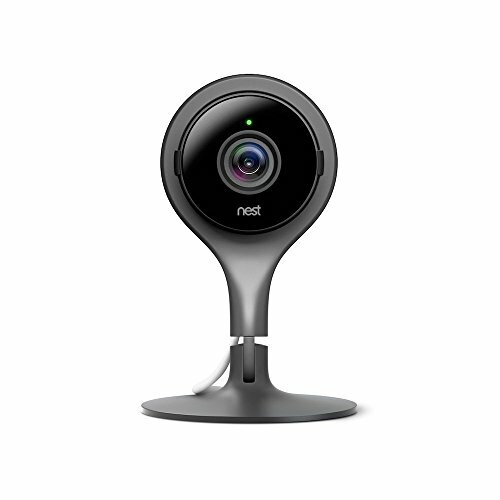 For indoor cameras the Nest Cam Indoor and Amazon Cloud Cam are popular options with the nest cam requiring a subscription to view recorded footage while the Amazon Cam will allow you to save and review the last 24 hours of footage for free.